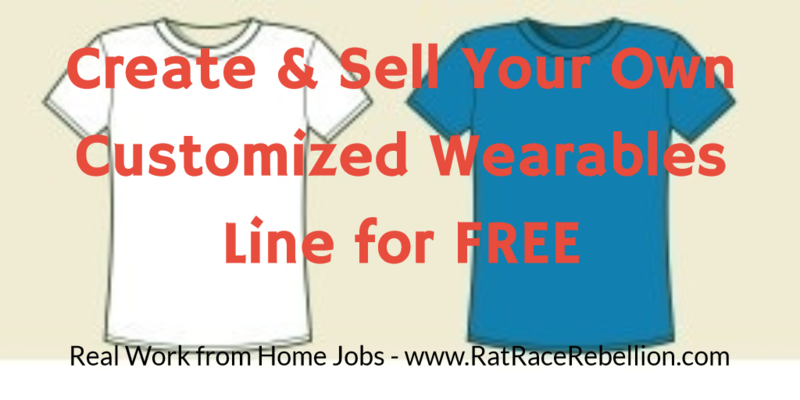 Create & Sell Your Own Customized T-Shirt Line for FREE! Not so very long ago, having your own line of custom t-shirts meant you had to lay out some serious cash for inventory. You had to purchase shirt and printing on speculation and hope that you could sell them. NOW, YOU CAN HAVE YOUR VERY OWN CUSTOM-DESIGNED WEARABLES STORE ONLINE – NO COST, NO INVENTORY, NO KIDDING! Use your original artwork, photographs, or great slogans! Here’s the how and where to get you started! Threadless enables artists to open online “Artist Shops” for free. You, the artist, control the prices so you can make as much or as little as you want on each item sold. For example, if the base cost of their plain, pre-printed (blank) t-shirt is $15, you can set a retail price of $25 and your profit would be $10 per shirt sold. There is no minimum order for customers, and Threadless prints “on demand” the exact size and quantity being ordered. They collect the payment, ship the item(s), and deposit the profit into your artist account. Their product line, available for your customized artwork, includes t-shirts, sweatshirts, hoodies, lounge pants, wall art, tapestries, pillows, shower curtains, tote bags, phone cases, baby clothes, and more. TeeFury is a site where people can buy limited-edition pop culture tees, with a new design every 24 hours. They have a very loyal fan/customer base (which they call TeeFurians) to buy up the new designs. Artists retain full rights to their work! Share this post with your Facebook Friends! Teespring is a platform that makes it easy for anyone to create and sell high-quality products people love, with no cost or risk. To date, they have shipped over 12 million items and hundreds of their artists are making more than $100,00 a year. Nice! This site will not cost you a penny! Unlike CafePress or Zazzle (below) which print to order, even if the order is only for one shirt, TeeSpring does not print any shirts until a set number of orders have been priced. This means they can charge a lower price per item, but it also means it could take a little longer for customers to get their order. You start a campaign, set your price, and establish a “goal” number of shirts to sell. Once that goal is hit, they will print and ship the shirts to customers. As with the other companies on this page, you do not have to handle payments, shipping, customer service, etc. You will be paid via PayPal when the campaign is over. We’ve actually used CafePress to create t-shirts and tote bags and we found them amazingly easy to use! You can create an online store for free, and immediately begin uploading the graphics that will be used to create your customized product line. Customizable items include t-shirts, sweatshirts, kids and baby clothes, drinkware, tote bags, wall art, cases and covers, stationery, and more, and the process is super simple. You set your own price per item (base cost + your profit = retail price) and CafePress handles all printing (print to order, even if it’s only one item at a time), payments, shipping, and customer service. Click here for their shop pricing policies. You just have to create, promote, and get paid when one of your item sells. Very similar to CafePress, Zazzle is another print to order (print on demand) site that enables you to upload your artwork, create a store, and promote your customized items for free. You set your own royalty rates, they manufacture, ship and handle payments. Clothing for men, women, and children, phone cases, business cards, buttons, mugs, hats, keychains, bags, luggage tags, fabric, stickers, art and posters, postcards, greeting cards, postage, and more. Design by Humans is a little different in that they are a “art sales site” as opposed to a simple sign-up and go format. They require you apply to become an artist, so you’ll need to have a digital portfolio to show them you work. Each artist gets their own storefront to display their work and DBH handles all production and fulfillment. Artists retain all rights to their work and are paid a commission on each item sold (see their commission per item here). In addition to t-shirts in a wide variety of colors, their product line includes tank tops, sweatshirts, hoodies, phone cases and art prints of various sizes. 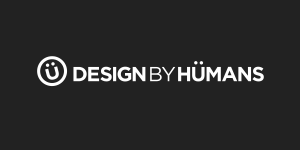 Visit the Design By Humans site here. This entry was posted in Artistic Jobs, Earn Extra Cash, Selling Stuff Online and tagged CafePress, Designs By People, TeeFury, TeeSpring, Threadless, Zazzle. Bookmark the permalink.